The incident was another reminder to space agencies about the importance of monitoring small bodies in space that could pose a threat to Earth. The same day Chelyabinsk happened, the U.S. House of Representative's Science, Space, and Technology Committee said it would hold a hearing to discuss asteroid threats to Earth, and how to mitigate them on top of NASA's current efforts. Coincidentally, the explosion came on the same day that an asteroid was flying by Earth. Called 2012 DA14, it passed within 17,200 miles (27,000 kilometers) of Earth. NASA quickly pointed out the asteroid was travelling in the opposite direction to the small body that exploded over Chelyabinsk. "The asteroid will travel south to north," Don Yeomans, head of the agency's Near-Earth Object Program Office, told Space.com in 2013. "The bolide trail was not south to north and the separation in time between the fireball and 2012 DA14 close approach is significant." Bolides and fireballs are terms to describe exceptionally bright meteors that are spectacular enough to be seen over a very wide area, according to NASA. They usually reach a visual or apparent magnitude of minus 3 or brighter. 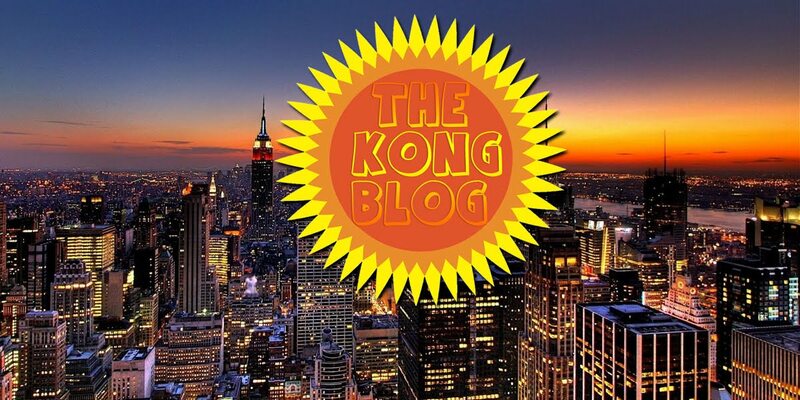 (The sun’s apparent magnitude is minus 27.) The terms are used interchangeably, although technically, bolide refers to a fireball that explodes in the atmosphere. 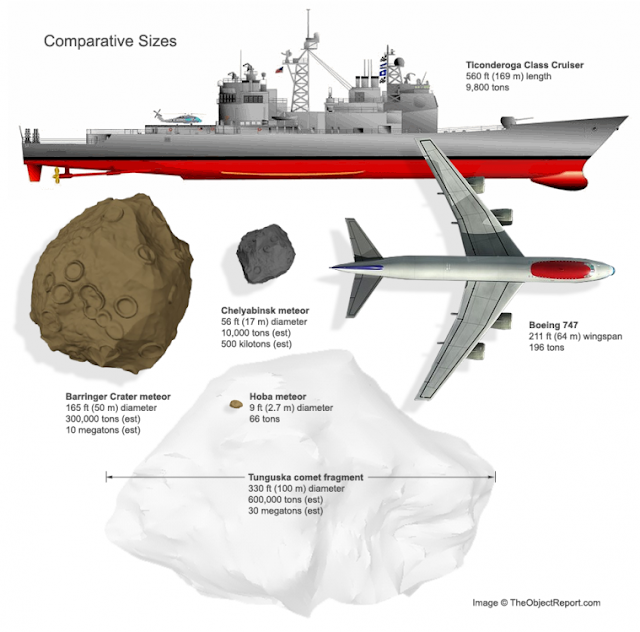 Other terms: Asteroids refer principally to small, rocky bodies. A meteoroid is an asteroid or comet fragment that is between 10 microns and about 1 meter in size. 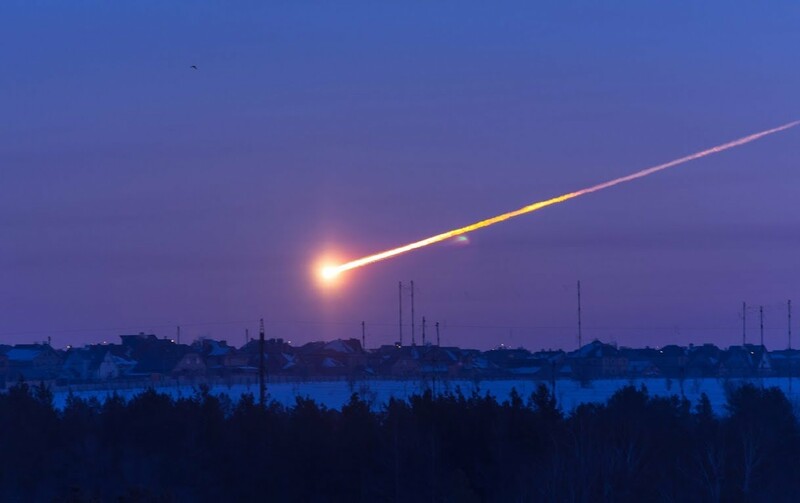 When a meteoroid enters the atmosphere, its path is called a meteor or “shooting star.” If any of the pieces reach the ground, those pieces are called meteorites. In the days after the explosion, meteorite hunters worldwide rushed to the remote area to try to find pieces of the impactor (which exploded high up in the atmosphere). Just three days after the explosion, on Feb. 18, 2013, the first reports came in that pieces had been found around Lake Chebarkul, 43 miles (70 km) north of Chelyabinsk. At that same location, scientists spotted a hole in the ice, which they also thought could be traced back to the impact. Meanwhile, experts reviewed both the fragments and many amateur videos of the explosion. It is common in Russia for drivers to use dashboard cameras in cars in case of a collision, in which case the camera footage could be used as evidence. This provided a lucky treasure trove for scientists as many of these cameras caught the explosion while drivers were on the road. About two weeks after the explosion, scientists were starting to pin down the bolide's size, speed and origins. The infrasound signature on the nuclear-detection network, which is operated by the Comprehensive Test Ban Treaty Organization, was the largest ever detected. "The asteroid was about 17 meters [56 feet] in diameter and weighed approximately 10,000 metric tons [11,000 tons]," Peter Brown, a physics professor at the University of Western Ontario in Canada, said in a statement. "It struck Earth's atmosphere at 40,000 mph [64,370 km/h] and broke apart about 12 to 15 miles [19 to 24 km] above Earth's surface. The energy of the resulting explosion exceeded 470 kilotons of TNT." 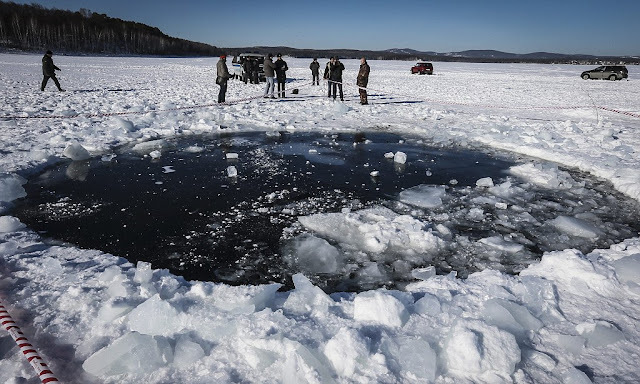 In the months afterward, scientists learned more about the origins of the Chelyabinsk impactor, and also raised a coffee-table-size piece of the bolide from the lake in which it crashed. 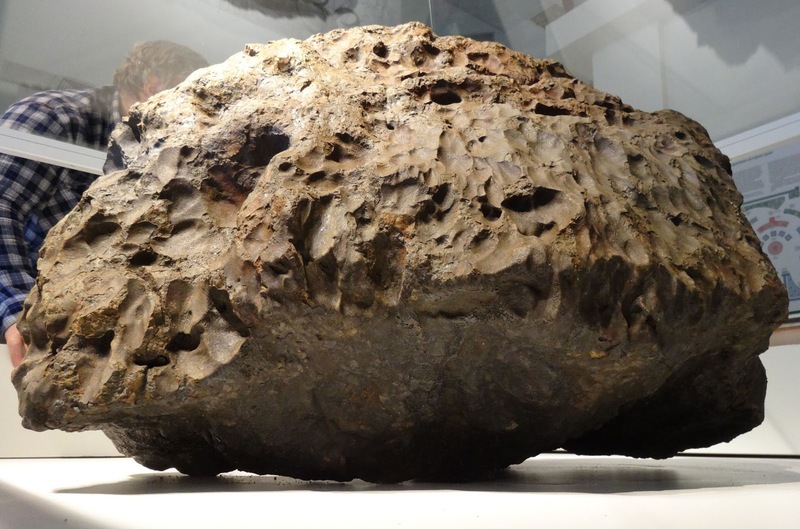 Some of the pieces inside the meteorite were formed in the first 4 million years of solar system history, David Kring of the Lunar and Planetary Institute in Houston said in December 2013 at the annual meeting of the American Geophysical Union. In another 10 million years, the pieces (along with some dust) created an asteroid about 60 miles (100 km) wide. This parent body had a huge impact about 125 million years after the solar system was formed, with more strikes coming during the “late heavy bombardment,” a time of frequent small-body strikes between 3.8 billion and 4.3 billion years ago. Two other impacts came in the last 500 million years. Closer to the Chelyabinsk event, the parent body experienced yet another impact and was also nudged out of the main asteroid belt into an orbit that crossed near Earth's. In February 2014, one year after the impact, several scientists said that the danger of small asteroids was now foremost in many public officials' minds, especially because it was said to be the first asteroid-related disaster. Officials from the Federal Emergency Management Agency had already attended a planetary defense conference — a first for a meeting always dominated by scientists — and the Obama administration asked Congress for $40 million in asteroid-seeking funds for NASA, double what the agency had before. NASA also launched a “Grand Challenge” to get input from the public, industry and academia on asteroid-protection methods.